This exhibition celebrates the excitingly exotic and different in the plant world. Exotica are defined as interesting, unusual objects seen in unfamiliar surroundings, far away from their distant countries of origin. Come and see our stunning new collection of around 30 paintings, depicting waterlilies, lotus, water hyacinth, passion flowers and more. See a beautifully delicate painting of the smallest waterlily in the world, next to a fearsome thorny giant waterlily from Bali, and the famous Encephalartos woodii, a cycad from South Africa and the oldest plant in the Temperate House. Many of these striking unfamiliar plants can be found growing somewhere at Kew but often originate in the southern hemisphere tropics. 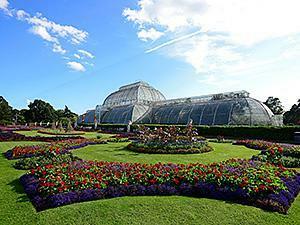 The exhibition's paintings were mostly created in the subject plant’s native country although some specimens were drawn in the glasshouses here at Kew.